Established British Fine Artist, described as cutting edge and contemporary, Laura’s commissions have included private collectors and public organisations such as Birmingham Conservation Trust. She has exhibited throughout England, including Fresh Air, Quennington attracting over 13,500 visitors, Shugborough House, World of Wedgewood, two solo exhibitions at Bantock House and Mount Pleasant Gardens Sculpture Trail. Laura is member of the board of trustees representing women and visual arts at Newhampton Arts Centre. Most recent public art includes RHS Tatton Flower Show 2017, large sculpture installation and Wolves In Wolves Public Art Trail. Laura has project managed and been lead artist on numerous Arts For Health projects, mainly for NHS departments, including Jo’s Cancer Trust award winning Life is Precious Cancer Awareness Art Project. From large scale sculpture to smaller miniature pieces, abstract painting, photograms and cyanotypes, her work is varied yet carries a strong sense of composition and detail throughout. Many of her pieces are almost ethereal yet modern and unique. Simplicity, minimalism and movement are evident throughout her work including recent ink paintings that have Japanese Art references to them yet are modern and abstract. 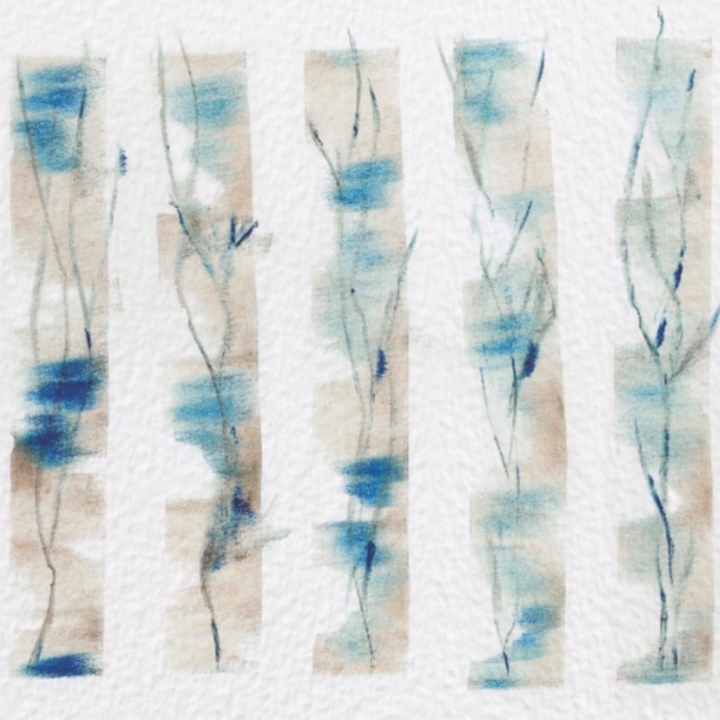 The inks flow through Laura’s hands in a deliberate yet meditative and intuitive fashion, creating striking linear pieces that carry the eye through the work, where the more they are looked at the more the viewer can see. Embellished with gold leaf Hickman’s luxury modern pieces are sought after and have featured in exhibitions at The Williamson Art Gallery, Wirral, Tettenhall Art Gallery and Lighthouse Media Centre. Unafraid to explore, experiment and push boundaries, Laura Hickman creates her bespoke collections.